Binoculars are the most widely used optical instruments in the world. They offer a wide range of uses. Whether for a close action of events at the stadium, hunting, hiking, camping or bird watching, a pair of quality and durable binoculars with an excellent image quality is a must have. And currently, one of the most highly sought-after binoculars on the market is the Carson 3D series High Definition Waterproof Binocular with ED Glass. In the Carson 3D Series High Definition Waterproof Binoculars with ED Glass review below, we shall explore the vital features as well as the strength and weaknesses the binoculars comes with. In addition to that, we also have a collection of answers to questions often asked by customers and potential customers with regard to the Carson 3D series. The main aim of this review is to feed the reader with information necessary for making a purchasing decision. 1.8.1 Q. Who are the manufacturers of the Carson 3D series High Definition waterproof binoculars? 1.8.2 Q. Are the binoculars water resistant? 1.8.3 Q. Where are these binoculars manufactured? 1.8.4 Q. What color can I purchase the Carson 3D series High Definition binoculars? 1.8.5 Q. What is the eye relief of the binoculars? 1.8.6 Q. What is the binoculars’ Field of View? 1.8.7 Q. What is the weight of the binoculars? 1.8.8 Q. Can someone who wears eyeglasses use these binoculars? 1.8.9 Q. Are these binoculars tripod mountable? 1.8.10 Q. Besides the Carson 3D Series binoculars, what are the other things that are contained in the box? 1.8.11 Q. Do these binoculars come with a warranty? The Carson 3D series is so compact and lightweight that you can easily and comfortably move around with it on your hunting expedition. 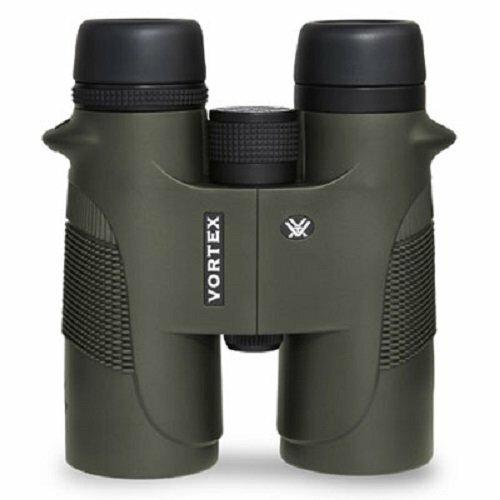 Weighing just 1.4 lbs, these are definitely one of the lightest binoculars in their class that you can get on the market. Unlike the low quality images produced by inferior binoculars, the Carson 3D Series produces images that are extremely quality, clear and bright. This is made possible because of a number of features, most notably the ED glass (also known as Extra Low Dispersion Glass) which allows for the transmission of very sharp and clear images, the Dielectric Coated Prism and the fully multicoated lenses that increase the transmission of light to produce brighter and sharper images, even in low-light conditions. 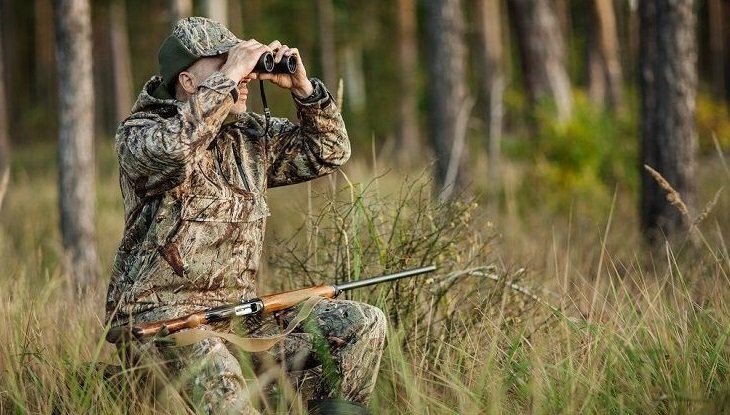 These are some very vital features to look out for when buying a pair of binoculars, and the Carson 3D Series proudly boasts of them. The binoculars’ O-ring seal makes the binoculars waterproof, thereby allowing you to use them safely in wet environment. In addition to that, this pair of binoculars is are nitrogen purged, which means they contain nitrogen gas which dries the inside to prevent the internal optics from fogging up in extreme changes in temperature while at the same time keeping the inner workings from becoming corroded. The frame of the Carson 3D Series binoculars is armored with a hard rubber which will protect it from scratches, bumps and knocks and enhance the user’s grip on them. The rubberized armoring also makes the device less reflective. One of most common problems people who wear eyeglasses often face when using most binoculars is the inability to see very well and comfortably using the binoculars because most of them come with very short eye reliefs. But this isn’t so with the Carson 3D Series. These binoculars come with extra-long eye relief and twist down eyecups to allow both eyeglasses wearers and non eyeglasses wearers to see very well and comfortably using them. They are lightweight in nature and allow for convenient handling and transporting. They come with both fogproof and waterproof construction. They provide very excellent images thanks to features such as an ED Glass, BAK-4 Prisms and fully multicoated lenses. Their rubberized armor protects them against scratches and offers a better grip. These binoculars come with a number of accessories, including a neck strap, Bino Armor Deluxe carry case, shoulder harness and a lens cleansing cloth. It comes in a Mossy Oak Camouflage appearance which conceals your position in bushy terrains. They are backed by warranty. Q. Who are the manufacturers of the Carson 3D series High Definition waterproof binoculars? A. The Carson 3D series High Definition binoculars are produced by Carson Optical Inc. – an American company established in 1990. Today, Carson is one of the leading manufacturers of things such as binoculars, microscopes, rifle scopes, etc in the United States. Q. Are the binoculars water resistant? A. Yes. The binoculars are O-ring sealed and nitrogen purged, thereby making them both waterproof and fogproof. Q. Where are these binoculars manufactured? A. They are manufactured in China. Q. What color can I purchase the Carson 3D series High Definition binoculars? A. It can be purchased in Black and Mossy Oak camouflage. Q. What is the eye relief of the binoculars? Q. What is the binoculars’ Field of View? A. They have a 314ft Field of View. Q. What is the weight of the binoculars? A. The binoculars weigh only 1.4 lbs. Q. Can someone who wears eyeglasses use these binoculars? A. Yes, you can. The extra-long eye relief that the binoculars come with make them perfect for both glasses wearers and non glasses wearers. Q. Are these binoculars tripod mountable? Q. Besides the Carson 3D Series binoculars, what are the other things that are contained in the box? A. In addition to the Carson 3D series High Definition binoculars, the box contains the following items: a well-padded neck strap, a shoulder harness, a Bino Armor Deluxe carry case that protects the binoculars, and a lens cleaning cloth. Q. Do these binoculars come with a warranty? A. Yes, they do. They come with Carson’s legendary No-Fault, No-Hassle Warranty. According to this warranty, regardless of what causes your binoculars to get damaged, Carson will either repair or replace it for you without collecting a dime from you. Having explored the various features of the Carson 3D series High Definition Waterproof binoculars which include things such as a waterproof and fogproof construction, fully multi coated lenses, ED glass for sharper and brighter images, rubberized armor to prevent scratches, lightweight construction, and extra-long eye relief, we have no doubts that these binoculars would make a great companion for you during your outdoor activities such as hunting, hiking, bird watching, etc.